The country inspired details of this midi dress give it an unmatched elegance and sophistication. The three quarter length sleeves and ruffle hem are perfectly tied together with a tassel drawstring. Belt not included. 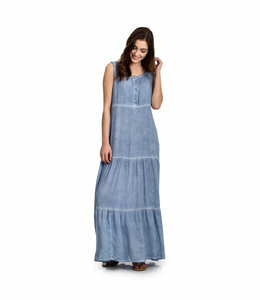 The perfect Wrangler Dress for those nights on the town. 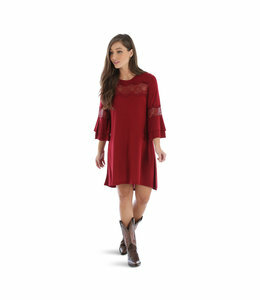 Bell Sleeve Dress with Lace Inset Panels on Chest and Sleeves.